Giving a unique gift can leave an everlasting impression of love and appreciation in someone�s heart. Go the extra mile this year and purchase a unique gift for someone on your list and watch how their face lights up because of your unique gift. Our unique and collectible gifts are guaranteed to impress anyone whether it�s given as a holiday gift, religious gift, for anniversaries or birthdays. 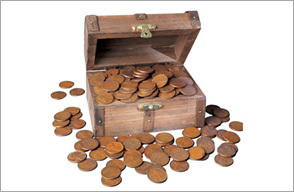 Visit American Coin Treasure�s website for unique gift ideas that will make your life easier and take the guess work out of shopping. 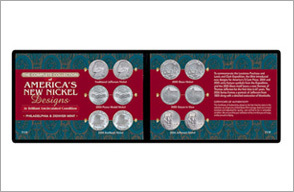 Our large selection of unique gifts include collectible US mint coin gift sets that come in handsome boxes or elegant frames, rare coins stored in mini money bags or unique treasure chests, impressive wallets that carry a bit of our nation�s history and many more unique and valuable gifts. 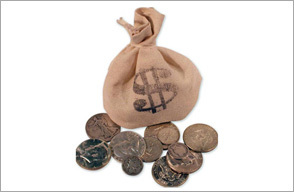 At American Coin Treasures our gifts are the type of gifts that keep on giving! Our unique gift collection carries value and can be admired and passed down from generation to generation for years to come. 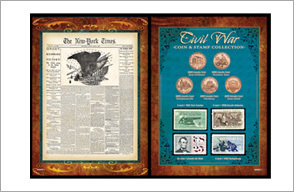 Take our New York Times collection; the New York Times headlines Grant's Victory at Richmond in a beautifully framed Civil War Coin and Stamp Collection. An official reproduction of The New York Times front page dated April 4, 1865 is showcased along with 5 genuine U.S. coins and 4 U.S. Postage Stamps in a wallet. President Abraham Lincoln toured Richmond on April 4, 1865. Upon landing in Richmond, Lincoln was spotted by black workmen who bowed to him. Lincoln is quoted as saying, "kneel to God only, and thank him for the liberty you will hereafter enjoy." This Civil War tribute contains four 2009 Lincoln Bicentennial Pennies, a 2010 Lincoln Union Shield Penny and 4 commemorative Civil War postage stamps, a 1958 4-cent Lincoln-Douglas Debate Stamp, a 1961 4-cent Fort Sumter Stamp, a 1963 5-cent Battle of Gettysburg and a 25-cent Lincoln Air Mail Stamp. Who wouldn�t be proud to give such history as a gift to their friends? Browse and shop our large collection of unique gift ideas today!